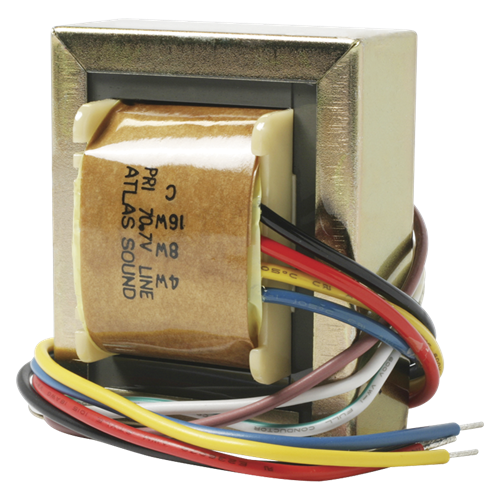 Model HT167 high quality line matching transformer features 0.6dB insertion loss to assure efficient speaker matching in distributed 70.7-volt systems. Unit is constructed of audio grade laminations and has primary taps at 4, 8 and 16 watts. The secondary impedance is 4 and 8 ohms. Frequency response is +1dB from 40Hz - 15kHz.